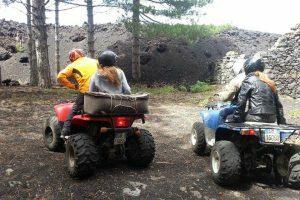 Today we enjoy an amazing experience exploring by quad bike the Etna Volcano. 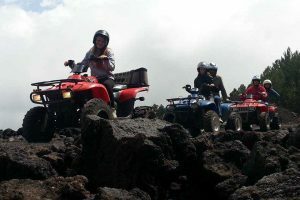 A great experience with an expert quad Driver who will lead you through off road paths exploring the 2002 lava flow area, and hiking to join the Sartorius craters (located at around 1.700 meters). 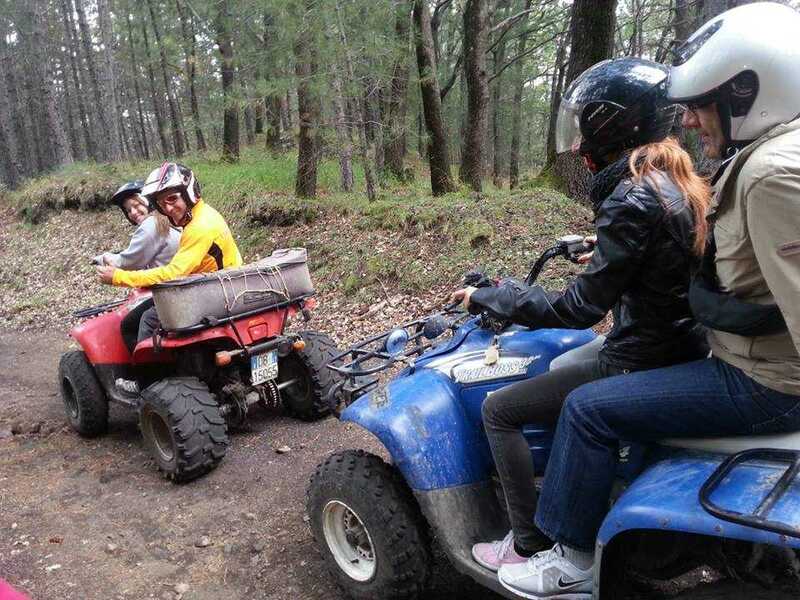 Each Quad can be shared by max. 2 people. We will provide the Meeting Points information at time of booking. 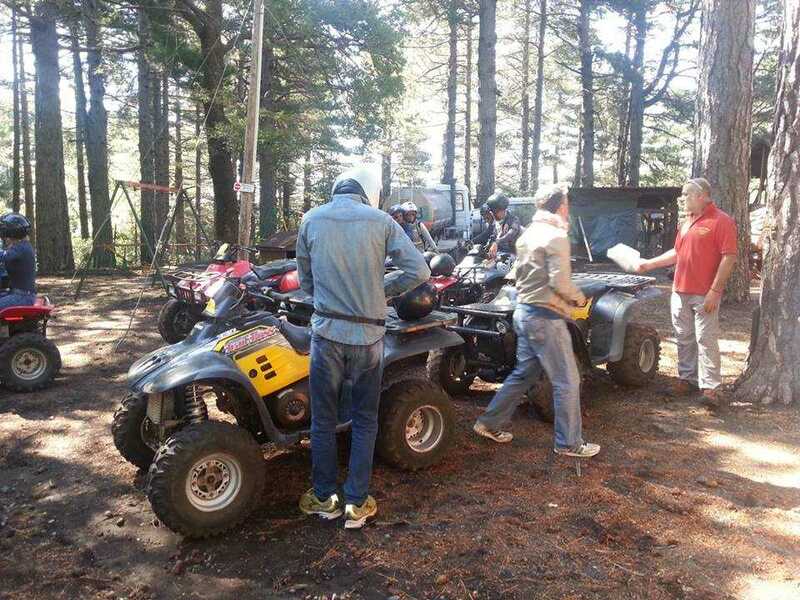 In any case the meeting point is set on the slopes of the Etna volcano. You have to reach the meeting point on your own (extra service for round trip transfer is available on request). 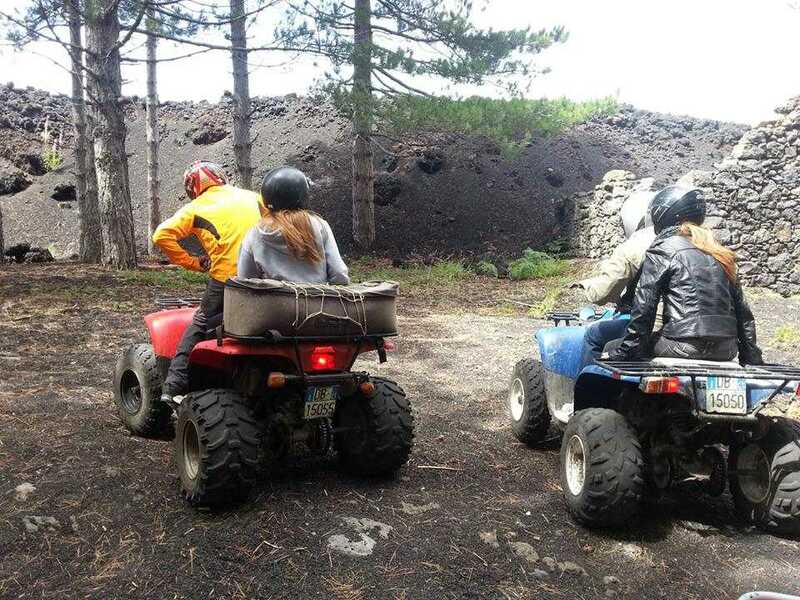 If you need a transfer from Taormina hotel to the meeting point in Etna area (and the retur transfer to Taormina) we can provide this extra service with private vehicle and Italian speaking Driver. 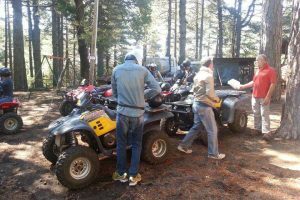 This excursion is not recommended for people with walking limitations. 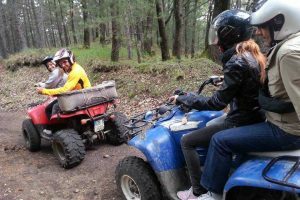 Full day tour to enjoy an amazing experience exploring the Etna Volcano by jeep and quad bike. 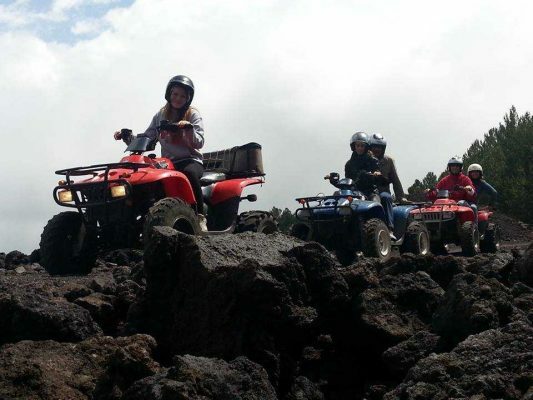 Visit lava flows and a cave and admire the suggestive Etna landscape and view. Light lunch included.